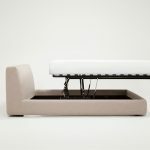 Home / Art / EQ3 Cello Storage Bed in leather – lifts for storage! EQ3 Cello Storage Bed in leather – lifts for storage! 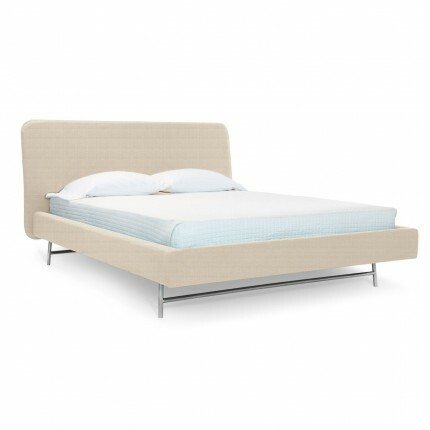 EQ3 Cello Storage Bed – queen, leather pattern Tulsa II “Bisque”, priced as shown, slats not included. 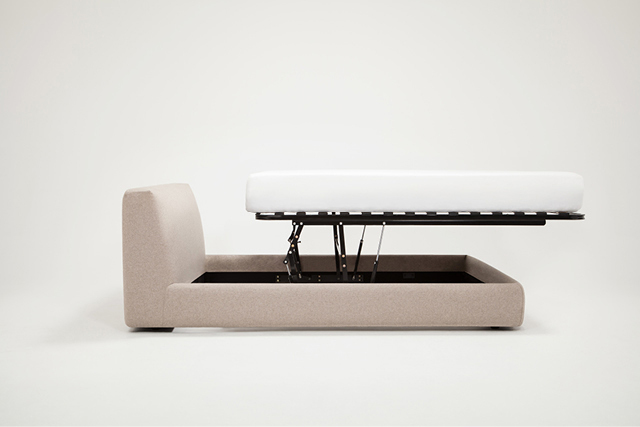 Strong architectural lines, softened by its sophisticated padded structure. Generous storage compartment, ideal for smart and compact living. Also available without storage in fabric or leather.